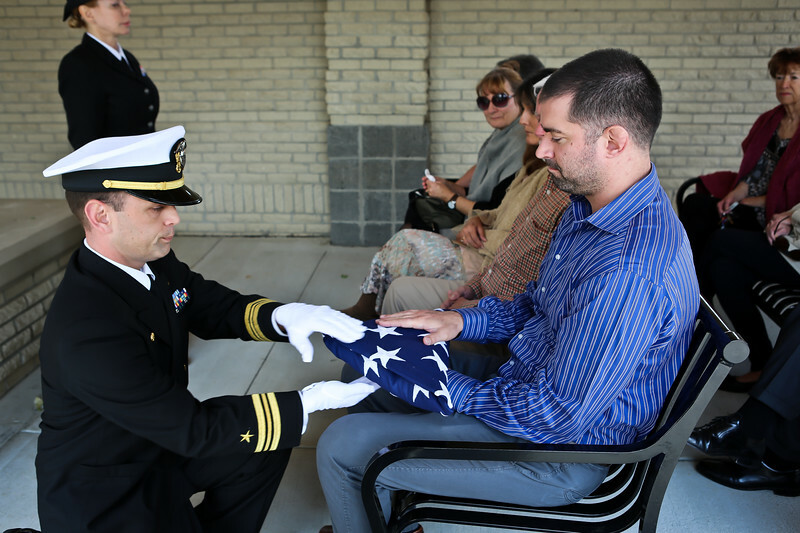 Several Sailors from the Navy Operational Support Center Chattanooga showed their support to Thomas Clinton Caldwell Jr., on 9 April 2018 during a funeral honor at the Chattanooga National Cemetery. "During World War II, Tom enlisted in the U.S. Navy Reserve at age 17 in 1943 and was quickly activated for the duration of the war. Following his basic training and gunnery school, he was assigned to the USS Landing Craft Infantry (LCI) #403 that sailed to England and prepared for the Normandy Invasion of France on 6 June 1944. Tom was awarded the prestigious "Amphibious Insignia" for his participation in the invasion from 6-25 June 1944 where he was also awarded the Bronze Battle Star on the European-African Middle Eastern Campaign Medal, American Campaign Medal, the World War II Victory Medal and the Combat Action Ribbon. His medals were presented to him 72 years later in a formal ceremony by his nephew, Lieutenant Colonel Harve Turner, U.S. Army (Retired) and the Commanding Officer of the Navy Operational Support Center Chattanooga, Lieutenant Commander Joey Tanner on 17 October 2017.